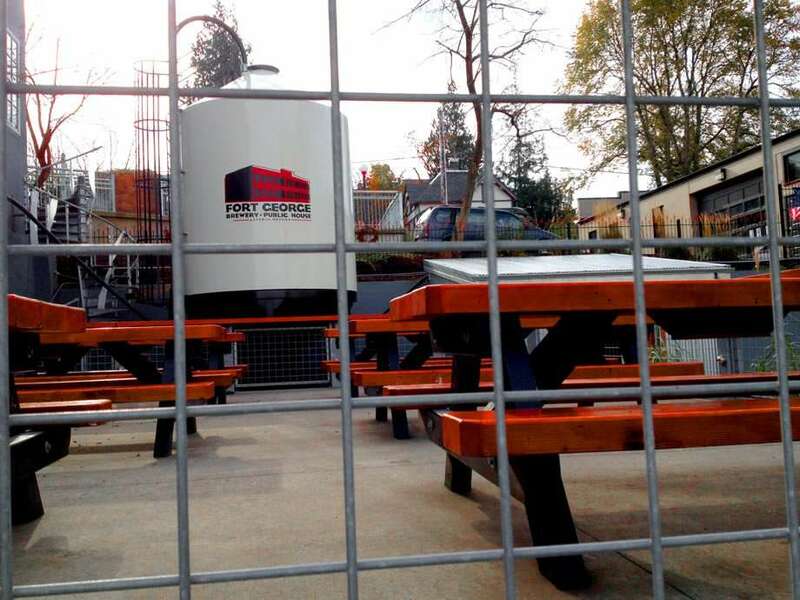 Fort George Brewery stands like an anchor just above downtown, a massive complex of bars and beers and brewing tanks that nearly encompasses an entire city block. Living on the very same earth the original Fort Astoria occupied, it is quite literally the origin of Western life on the Pacific Coast. After all, this was where Lewis & Clark first hit the Pacific, and where John Jacob Astor sent men to build the city, the first settlement west of the Rocky Mountains at the time. From the size of Fort George Brewery, and the popularity to match, it’s safe to say that it is the town’s key business. Everywhere you go people wear beanies emblazoned with the simple red and black logo, in the shape of the building the establishment occupies. They brew the best IPA we’ve ever tasted and are never short on cool people drinking under the large chalkboard art menus. Blue Scorcher Bakery serves out bread and coffee to young parents while their kids play with wooden toys in the corner, and is but one of a few great coffee shops in town. Branching out, a variety of restaurants serve everything from Indian to Mexican, Bosnian to Japanese. Some overlook the river, others live in old factories. And of course, fish and chips is on just about every menu. 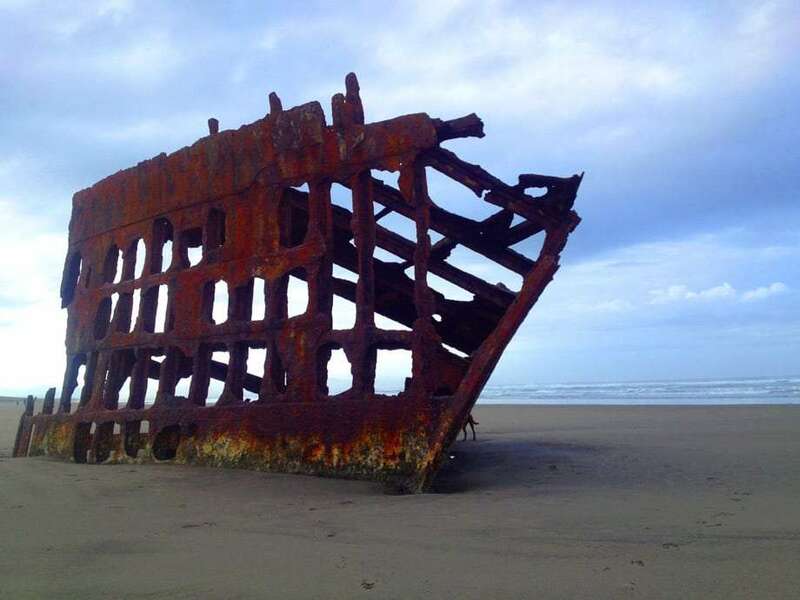 This is our “Day in the Life” tale of Astoria, Oregon, a brief rundown of all that we love the most about a town with a population under 10,000 but thick with interesting spots. We won’t cover everything, half the fun of this town is in the exploration, but we’ll hopefully get your bearings rolling in the right direction. Any day we can start with crepes and homemade jellies at the Columbian Cafe is generally a good one. 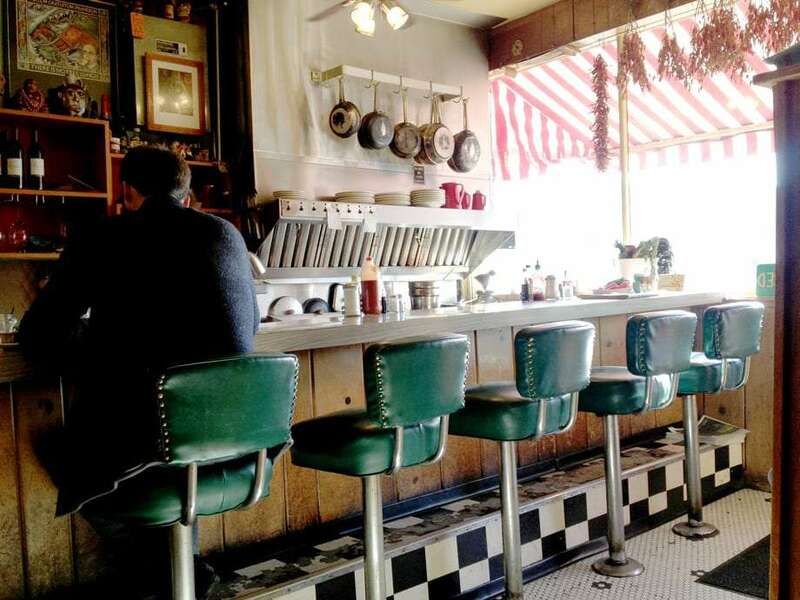 Though the line can be long and the seating intended for groups of four or less, this place is that cozy little diner you’ve always dreamed of, but without the standard greasy food out of a frozen bag. When the sun is shining through the windows, reflecting through your mimosa and taunting you as to whether the day will be a wide blue sky or thick clouds will roll in, the charm oozing out of every nook and cranny, every 1980’s photograph of the staff when they were kids, every little metal jar of jellies will set the stage for all that Astoria is. 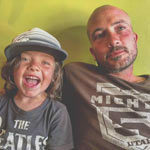 Small, local, and unafraid to have your food prepared within sight, because there’s nothing to hide. What you see is what you get and who knew you were going to get quite so much of of something so small? The Columbian Cafe, unusually vacant, just moment after opening. There was a time when trollies toted the citizens of America’s cities around, before the personal car was a reality, before car companies bought them all up and replaced them with uncomfortable, unreliable buses. If you had somewhere to go you walked there, and if it was too far you hopped on the trolley. Astoria remembers those days, and has brought back a single line along its riverfront, just another revival of the past that keeps this place feeling so authentic even while catering to visitors. The trolley takes you through waterfront restaurants framed in massive windows and fishing canneries alike. 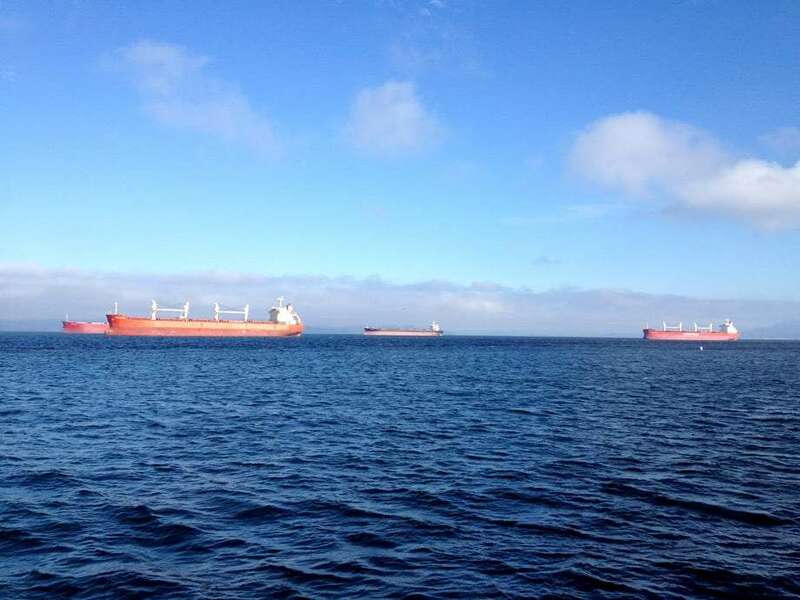 Freight ships take momentary pause in the Columbia River even as traffic flows along US 30 on its way to or from Portland. Hop on, hop off, or just walk along the taking it all in nature of this first of Astoria’s streets. Freight ships rest in the Columbia River. There are no shortage of playgrounds scattered around town, even an impressive aquatic center stuffed with pools and slides, but a truly unusual offering the city provides for kids is the Astoria Recreation Center. Living halfway up the hill in an old freemasons building on the corner of Grand Avenue and 14th Street, children as young as seven and up to their teenage counterparts can pay $3 to hang out here for the afternoon, usually starting when school lets out and until sometime after 7pm. Basketball, video games, or just a good old fashioned loosely organized came of zombie tag throw down, and for those of you traveling with young ones who could use a little interaction with others of their age, ARC will likely prove a welcome addition to your traveling typicalities. It takes 160 steps to reach the top of the Astoria Column, and once you do nobody will blame you for feeling a little weak in the knees. Forget looking down though, aim your gaze out to sea, where views of the four-mile bridge to Washington, the city drifting down the hill, and the ocean beyond come together like a Norman Rockwell. To the south farmlands and rivers blur into the fog gathering around Saddle Mountain and the Coastal Range. On a very clear day you can see as far east as Mount St. Helens, even her still active brother Mt. Rainier to the north. This is as popular a tourist attraction as Astoria knows, but how to get there is what can separate you from the rest of the pack vying for parking space. Instead of circling the winding road that leads to the bottom of the column (and thereby needing to pay a $5 annual parking fee), drive east on Irving Avenue, past 17th Street, until it feels like you’ve almost begun to leave town. You’ll cross a small bridge, negotiate a series of turns, and before passing over another bridge note the roadside signage for a hiking trail on your right. This 1 mile jaunt will take you past the Cathedral Tree, a sight on its own, and as you crest the hill and deliver yourself foot-worthy from the forest, you’ll be able to skip the fees, dodge the traffic, and begin your ascent. 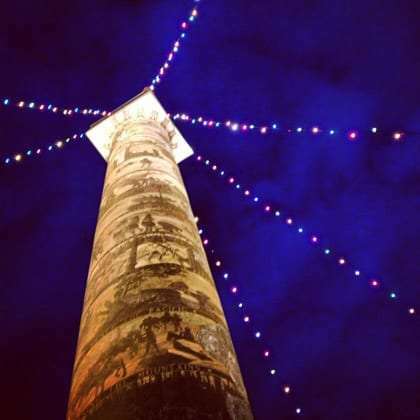 The Astoria Column near Christmas time. A few miles south of town you’ll find Lewis & Clark National Park, where you can begin a day full of adventures with a short hike through the forest, including markers declaring local species of trees like the mighty Sitka Spruce and Western Redcedar. A replica of the very fort that Sacagawea, Lewis, Clark and their thirty-some men occupied for their winter’s stay here over two hundred years ago. 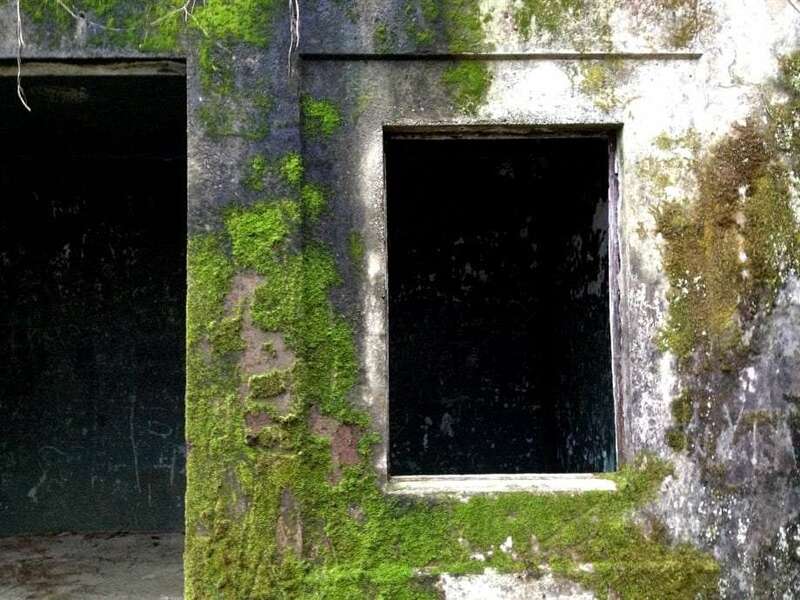 From their you’re poised to inquire of the rangers as to how you might find a real shipwreck, hike to a lighthouse, or explore spooky World War II batteries that were the spot of one of a rare few Japanese shellings on American soil. 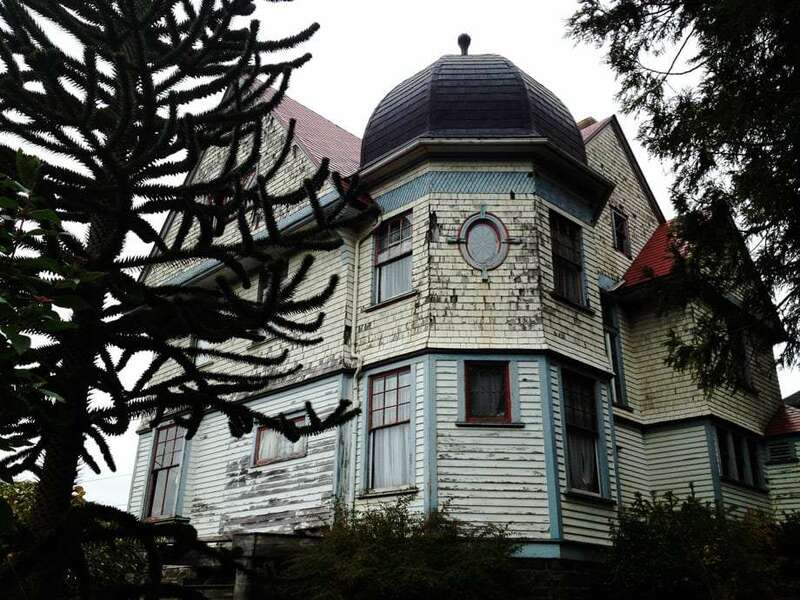 A Victorian home not completely fallen to disrepair could still use a little love and care in Astoria, Oregon. The subtle contrast of dark oranges and sky blues on foggy Pacific Coast evenings shrouds Tillamook head in the southern distance. 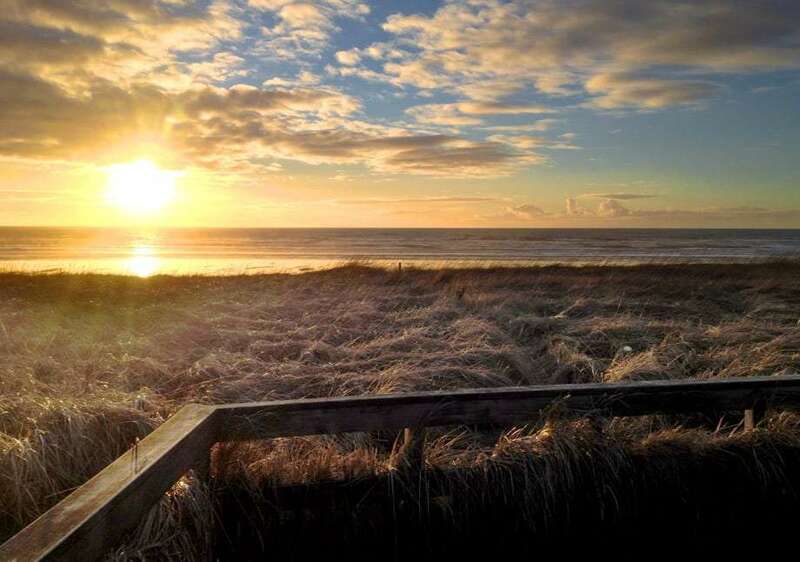 Sunset on the Oregon Coast near Astoria. Find this, and what is it? All part of the adventure. 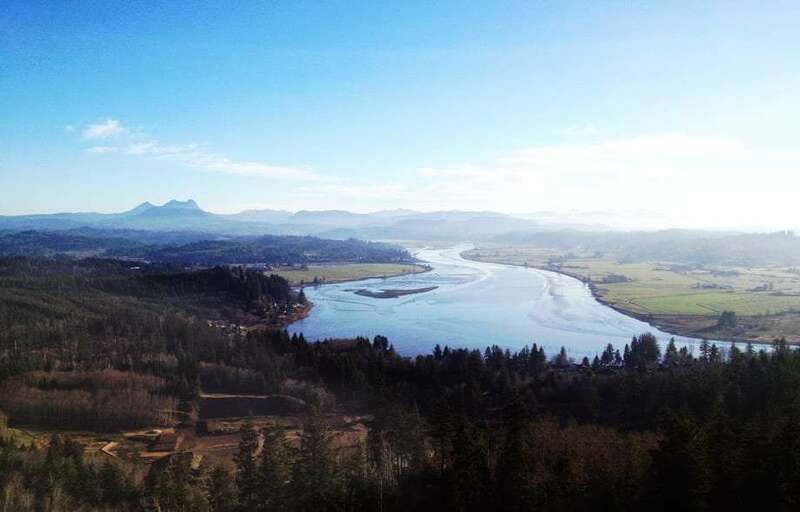 Youngs River and the lands of Clatsop County go endlessly on, Saddle Mountain in the distance. 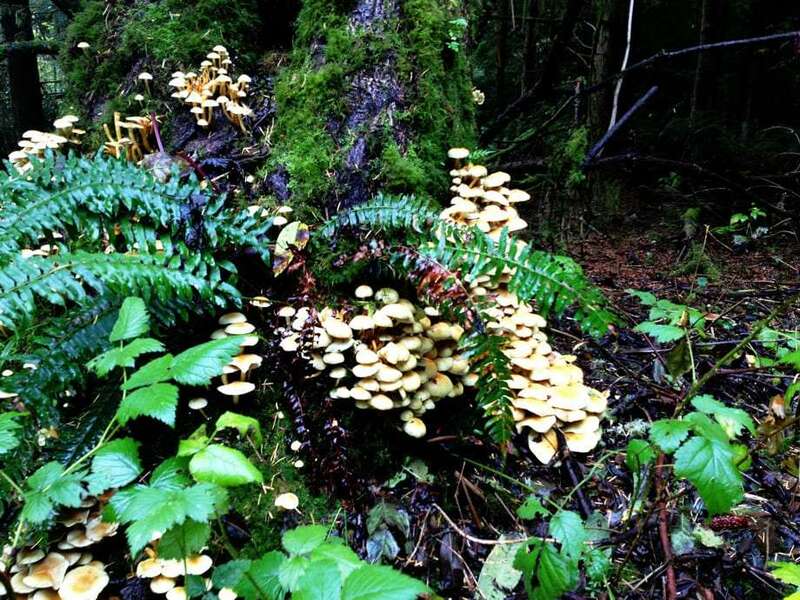 Though lacking in old growth forest, this region of the US is quite lush temperate rainforest. That massive bridge hovering above the western end of town is the Astoria-Megler Bridge. It somewhat dwarfs the town itself in its sheer size and scale. Below it is a decidedly different place, a hole in the wall you might never notice if you aren’t looking carefully, the Worker’s Bar. While a typically mild mannered locals spot most hours of most days of the week, if you show up between 6:30pm and 9pm on a Sunday, you’ll find it transformed into the most interesting of parlors: a Meat Bingo hall. What is meat bingo? Exactly what it sounds like. 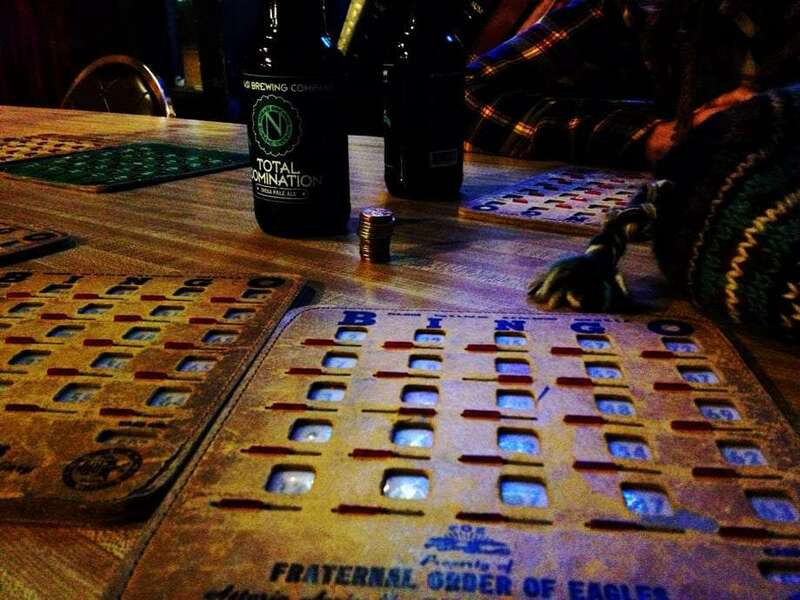 Drink beers, buy your bingo cards for a quarter a piece, and play along while the caller makes dirty jokes of each “O 69” and “I 17” that comes along. The prizes, of course, are meat (and meat-related) foods. While Astoria is sorely lacking in a music scene, you can always count on Sunday night to mean a band at that brewery on the hill, Fort George. Listen to locals and Portlanders come to town alike for what is, if anything, sure to be a night of eccentric music and beer in a mason jar. The Columbian Theatre shows one movie a night, starting at 7:00. It could be an obscure indie flick or a cheesy comedy blockbuster, and just about anything in between. If the show is appropriate, feel free to bring the kids for a pretty typical small theater experience. If your party doesn’t consist of anyone sub-21, however, head upstairs to the balcony, order yourself a pizza, a couple of brewskis, and find slide into one of the love seats that serve as your viewing platform from above. A beer or two can really help you push through that extra hour and a half of movie they’ve been tacking onto films these days, and the bathroom is conveniently located right around the corner for when holding it in through the latest Hobbit just isn’t going to happen. This is all just skimming the surface of the city and what it has to offer. 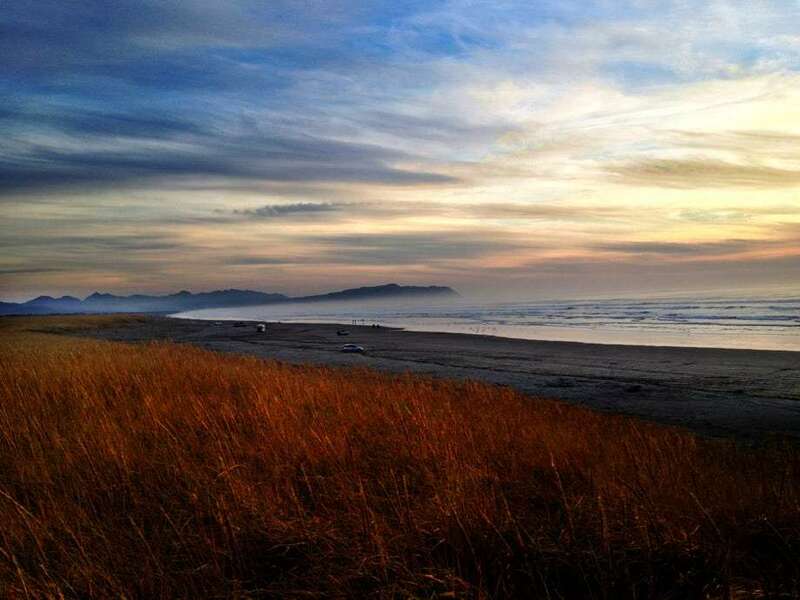 When you’ve successfully conquered all of these feats, and still feel that you’ve got time left to explore this grand area, inquire about Ecola’s Indian Beach, Saddle Mountain, or just start wandering aimlessly up and down Commercial Street and Marine Drive, you’re bound to bump into something to add to your list of stories ’round the old campfire.